Yep, Robert Downey Jr. will still be playing Iron Man in two more Marvel movies! Whew! Robert Downey Jr. has signed up for two more The Avengers movies. While the actor's role in the sequels was in doubt as Marvel was reportedly unwilling to agree to his pay demands, Robert and the studio have come to an agreement which will see him reprise the role of Tony Stark/Iron Man in Marvel's The Avengers 2 and Marvel's The Avengers 3, according to Marvel.com. 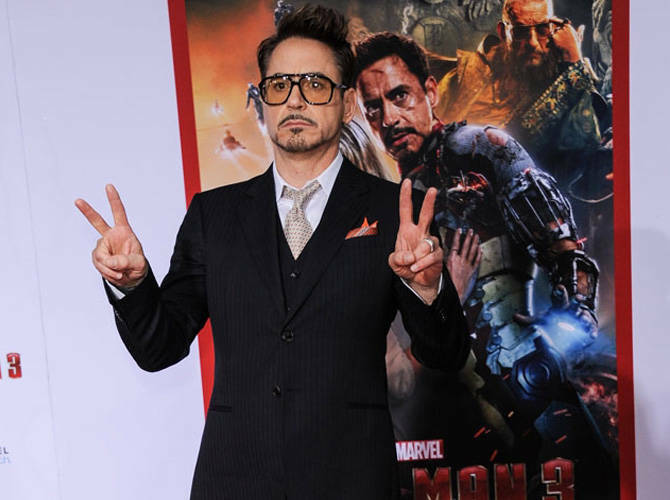 "Under the two-picture agreement, Downey will star as Tony Stark/Iron Man in Marvel's The Avengers 2 and Marvel's The Avengers 3. The sequel will start production on March 2014 and is being written and directed Joss Whedon.